Ladybug Crafts: September challenge, July winner. Anyway as usual we'll do the challenge winner a top 3 first, this time for the July challenge. If you email me HERE , I will send back your badges for your blogs and sort out a little something for the winner too :) If you could pop 'challenge winner' or 'challenge top 3' in the subject bar that would be fab as I am less likely to lose them in the vast amount of emails on the list lol. Now, my poor DT have to put up with my scatty ways and I managed to mix up challenge months by adding an extra August to the year, so my poor team had to try to decide which theme to pick out! fab cards as always though from the DT for inspiration, especially for those who might be new to crafting and /or blogging - if you are new to us please give us a shout in the comments below. If you're an old hand at it all we'd love to her from you too - let us know how long you've been crafting, whether it be a day, a month, a week, a year... well you get the picture. Don't forget to tell us how long you've been crafting - it would be lovely to get to know you all !! Love the DT Creations! Funny they had to try to decide LOL Love Sam's lion! Love all the stitching! Gorgeous!!! How long have I been crafting.. well.. that would be 20 years now I guess.. well.. I started Scrapbooking then.. right after I had my youngest! Showing my age o.O LOL!!! Been getting into cards for the last few years! I love it! Thanks for another fun challenge! Really lovely creations from everyone. Thank you for the great challenge and letting me play along. 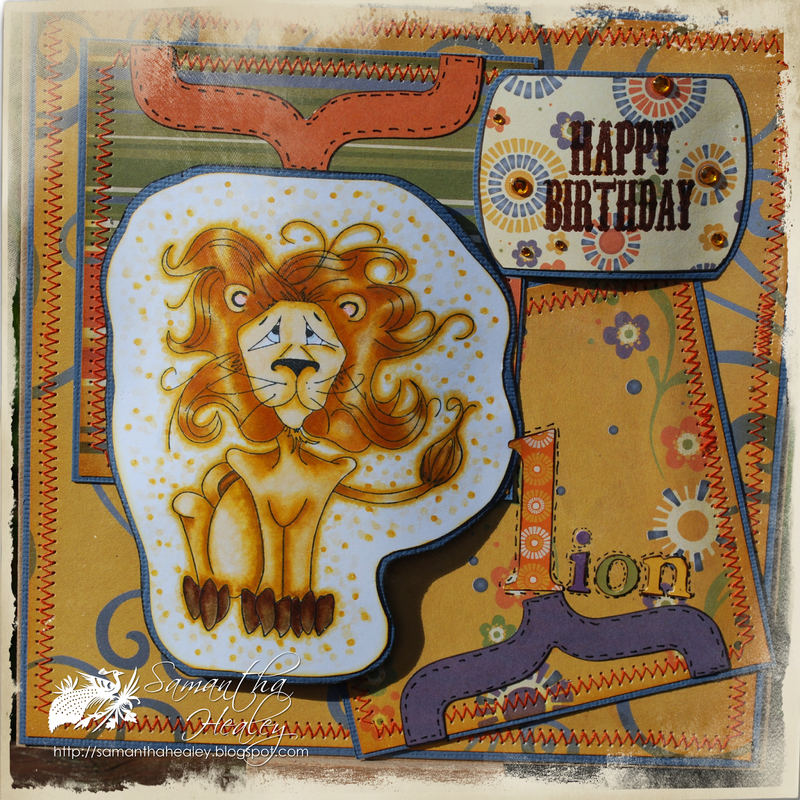 Love the DT cards and the lion made me giggle! I have been crafting since I was 8 when I used to make my dolls clothes - using paper patterns!!! That was 56 years ago and I must have tried every craft going until I found card making and I have been doing this for about 15 years or so now. My craft room looks more like a warehouse - my husband has taken pictures!!!! Thank you for another fabulous challenge and the fantastic inspirations. I have been crafting as long as I can remember but still feel like a newbie when I see how fast the paper crafting is evolving. Thanks for a fabulous challenge! I would like to eliminate some entries because I realized I entered more than three times, but when I put the arrow on my entry there is not the paper basket. What can I do to eliminate them? the numbers I want to eliminate are 4, 5, 27 and 40. Thank you!